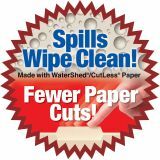 Special WaterShed®/CutLess® paper resists spills, dirt and finger oils and helps reduce the risk of paper cuts. 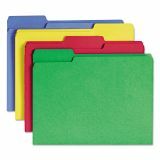 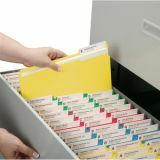 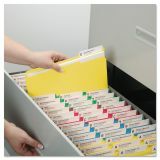 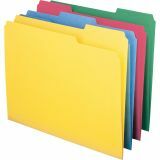 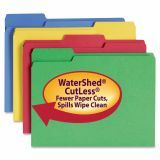 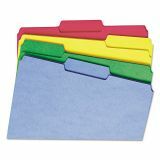 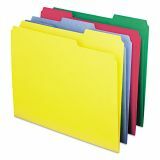 Smead WaterShed/CutLess File Folders, 1/3 Cut Top Tab, Letter, Assorted, 100/Box - Protect your important documents by using Water-Resistant/Cutless Folders. 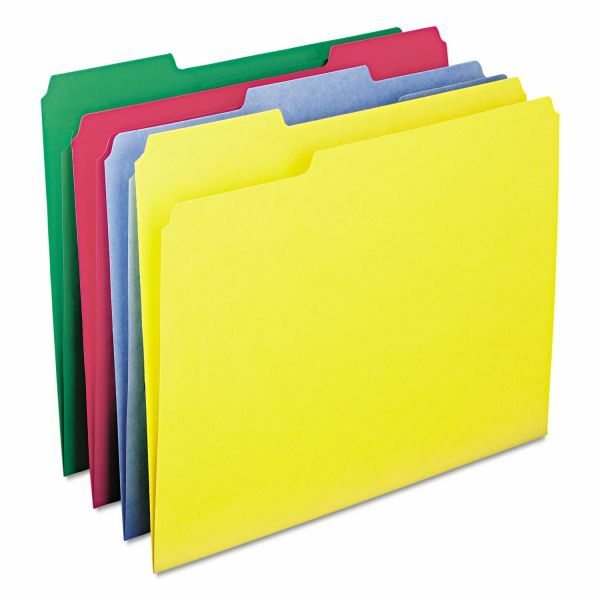 The folder resists spills of liquids such as water, coffee, soda and other liquids. 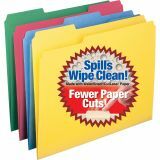 Simply wipe off folder. The special Watershed surface will accept notes using a ballpoint pen, rollerball pen or pencil. 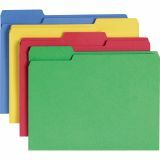 Surface is also dirt-resistant and finger oil-resistant. 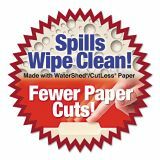 11 point Cutless stock reduces risk of paper cuts. 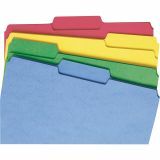 Folder is also scored for 3/4" expansion.Red, Green, Blue, and Yellow.